"Another" Colombian added to the collection! I posted earlier about my Colombian Madsen bolt action rifle that was bought by the Colombian Military but probably languished in a warehouse before entering the surplus market - unissued and not used; probably the nicest "surplus" gun to hit the market. I am a member of Coltforums; and one of the members there offered for sale a 1948 Smith & Wesson 4" barrel M&P in .38 Special. 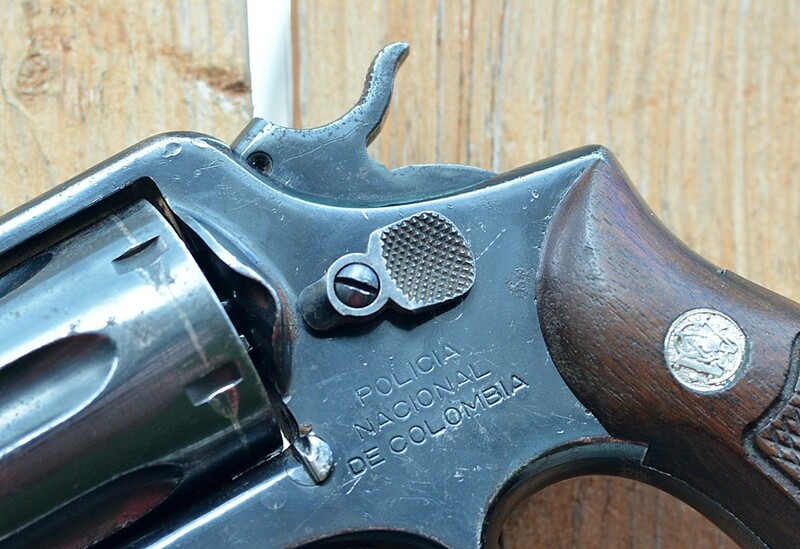 Although it was wearing a pair of after market rubber stocks and was missing the thumb button for the slide release not only the price ($249) and the engraved inscription on the left side of the gun "POLICIA NACIONAL DE COLOMBIA" called to me - so I bought it! A trip to a local gun show and I had period S&W stocks and search of Numrich (Gun Parts Corp.) found the correct button. 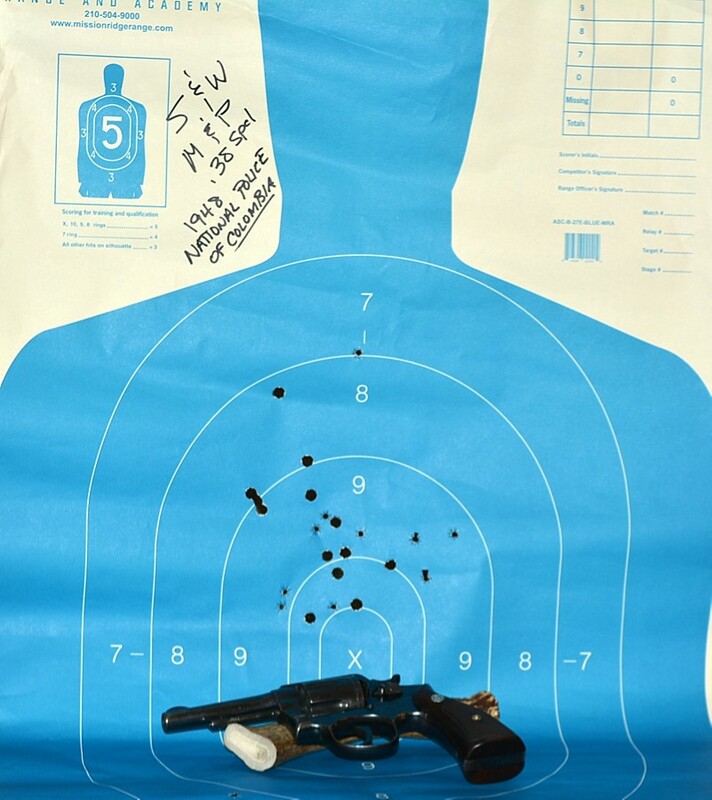 I took it to the range the other day, shooting first some .38 Special wadcutters then "the old standby" 158 grain lead round nose ammo. It does have that "been there, done that" look. Re: "Another" Colombian added to the collection! Beautiful old S&W - thanks for sharing. For all the years of use, that quality S&W bluing stills shows through. Excellent find. Winchester, Fiocchi , et.al. have a 130 gr fmj .38 special load that is both accurate and has "mild" recoil. It duplicates the early Vietnam Era U.S. Airforce load.